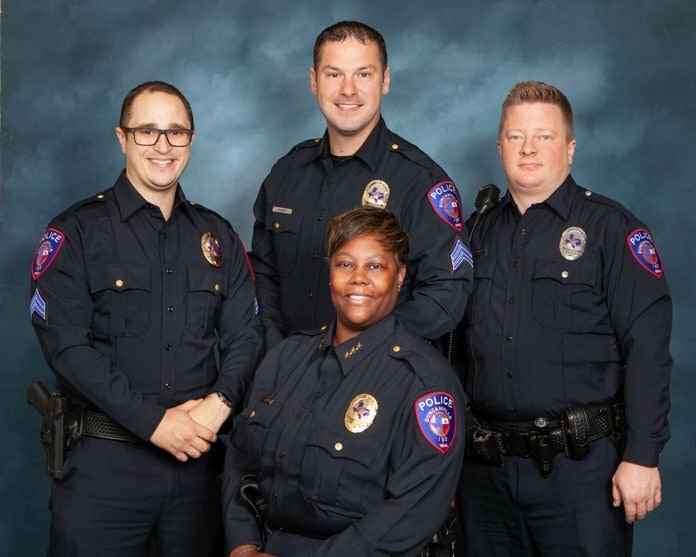 Duncanville Independent School District now has its own police department. DISD board chair Janice Savage-Martin administered the oath of office to the new DISD Chief of Police, Chavela Hampton, at the Nov. 12 meeting of the Board of Trustees. Following the dissolution of Dallas County Schools, the agency that previously provided officers for the district, various options were explored. It was decided that having their own police department was the best way to provide safety and security for the district. 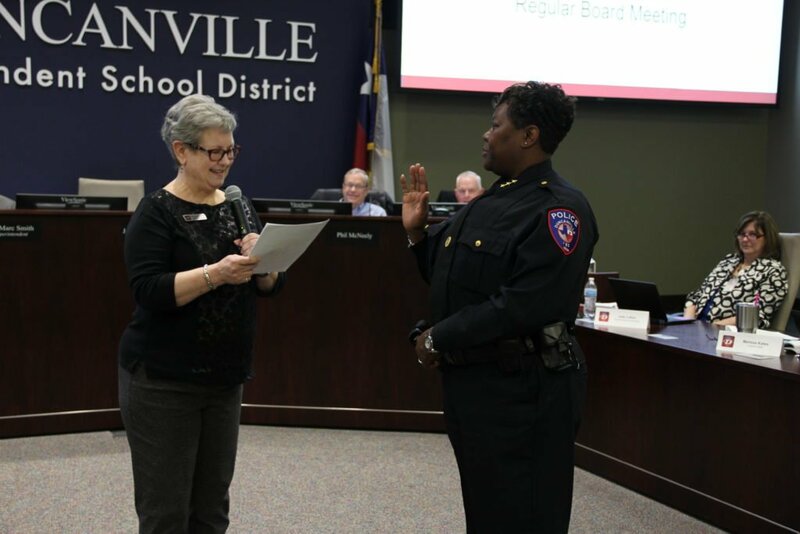 After voters approved the Tax Ratification (or Penny Swap) election in September, it became possible for Duncanville ISD to form their own district police department. Chief Hampton, with 27 years of experience in law enforcement, spent 23 years with Arlington Police Department. A single mom with one son, Chief Hampton lives in the DeSoto/Cedar Hill area. She was a deputy police chief in Arlington when she was hired by Duncanville ISD to help create a new police department last August. At the Board of Trustees meeting, Chief Hampton also administered the oath of office to her new team: Sergeant Mitchell Lambert, Sergeant Kristopher Dossey, and Police Officer Chris Russell. Duncanville ISD Police Department is currently headquartered in temporary offices at Duncanville High School. Chief Hampton says the board has plans to move the department over to the old DISD administration building on Main Street in the future. There are 18 schools in the Duncanville Independent School District.